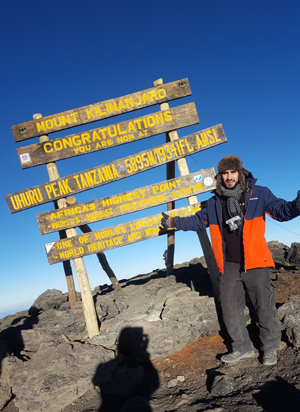 In October 2016, Hasan trekked to the summmit of the tallest free-standing mountain in the world. 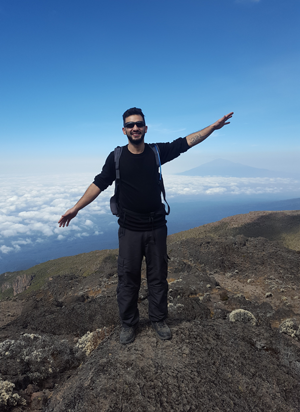 Here he tells us all about his incredible experience on Mount Kilimanjaro in Tanzania and has some advice for anyone else with MS who might be thinking about taking part in a fundraising challenge like this. 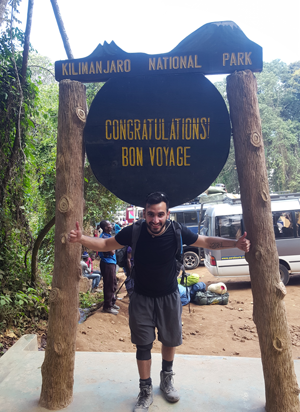 The Kilimanjaro Trek was an experience I will never forget. Mesmerizing views, beautiful scenic areas, it was literally like being on top of the world. Having suffered from relapsing remitting MS (RRMS) I wanted to help make a difference to people with MS by creating awareness. 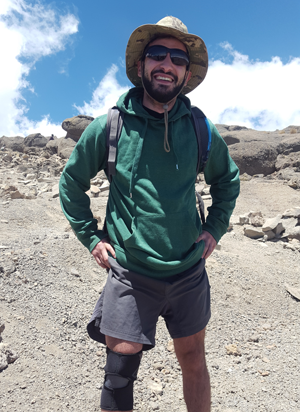 I also wanted to prove to people with MS that taking on such a challenge like cllimbing Mount Kilimanjaro can be done. My favorite moments on the trip were definitely engaging with new friends and especially the porters, as without them the challenge would not have been the same. Sharing stories with people was an amazing experience. The feeling when you reach the summit is hard to describe. As soon as you hit the summit, you get this overwhelming feeling that makes you instantly burst into tears. You have accomplished a massive task, you have proven to everybody that it can be done even if you suffer with MS. You are proud to say to all your sponsors that the challenge was completed successfully. What would I say to someone else with MS who was thinking about doing something like this? Train your mind first that this can be done, then train your body. You may have the symptoms of being fatigued but make your mind push through this. Enjoy the pins and needles, we are used to it. There is no better feeling than getting to that summit. You will be so proud of yourself.